Families come in all shapes and sizes but those in hard water areas all have one thing in common. They could benefit from Luxury Water. From the youngest member to the eldest, your family will appreciate the difference softened water can make to your home. Nobody likes to spend hours trying to get limescale off taps and fittings. With Luxury Water the limescale causing minerals are removed from your tap water. You can wave goodbye to unsightly smears on shower doors and worktops without spending precious time scrubbing. Say hello to more free time with your family doing the things you love. It can be really frustrating to empty the dishwasher and discover your glassware is covered in smears. You want the best for your family and that certainly doesn’t include dull and dirty looking glasses. Luxury Water can help your glasses sparkle and shine straight out of the dishwasher. What is even more frustrating than smeared glassware is when your dishwasher or any other appliance breaks down. Appliances can be costly to repair and replace but Luxury Water can help them last for longer. By preventing limescale build-up on its inner workings the appliance will not only work for longer but also more efficiently. Installing Luxury Water can save you money not just on appliances but also on your heating bill. Limescale deposits of just 6mm can decrease energy efficiency by up to 38%. The money you save can go towards things like ice cream in the park or a day at the beach. Spend less on bills and appliances, spend more on making precious memories with those closest to you. Luxury Water can also be beneficial when it comes to your family’s clothes. Hard water can leave clothes and towels feeling rough to the touch. This is because hard water may not rinse away all the detergent leaving a residue behind. Softened water on the other hand leaves no residue but does leave you with soft clothes and towels. Hard water can be harsh on the skin especially that of your little ones. The same minerals that can cause limescale also leach natural oils out of the skin. This can result in dryness and irritation which is no fun for anybody. Luxury Water removes these minerals so your tap water is kinder to sensitive skin. Hard water also prevents bathroom products lathering as they should. 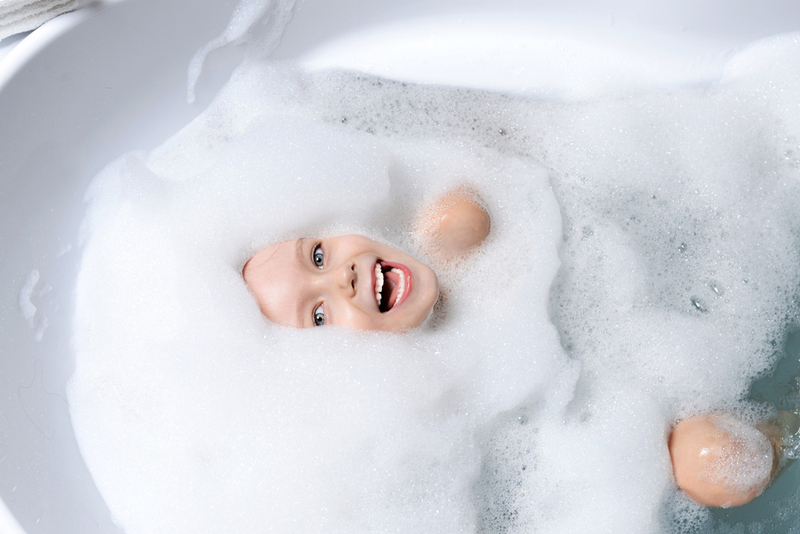 With Luxury Water your kids can enjoy super bubbly baths and you can enjoy luxurious showers. Luxury Water Softeners fit in most kitchen cupboards so you don’t need to worry about losing valuable space. They are also easy to maintain and come with a 5 year parts guarantee. All you have to do is keeping it topped up with salt, your Luxury Water Softener will do the rest. BWT Best Water Professionals are trained specifically to fit our Luxury Water Softeners giving you peace of mind. You can find your local Best Water Professional here. Luxury Water means more time to spend with the people you love. So don’t hesitate, have Luxury Water installed today!